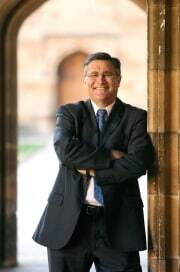 University of Sydney academics feature strongly in the list of delegates to the Australia 2020 Summit which has been announced by the Prime Minister. A group of 1000 of Australia's brightest and best have been chosen to participate, the group contains more than 25 members of the University's academic staff chosen from a total of around 8,000 nominations. The list of prominent Sydney University delegates includes Professor Ian Hickie, Professor Patricia Apps, Dr Helen Irving, Professor Bryan Gaensler and Professor Marcela Bilek. Fourth year Economics and Social Sciences student Ms Sara Haghdoosti has also been included for the 2020 Summit in the Strengthening communities, supporting families and social inclusion section along with Phd student Katherine Fallah, who will participate in the Australia's future security and prosperity in a rapidly changing region and world. The delegates will be split into 10 critical discussion areas which have been chosen to help shape the nation's future. They will look at areas such as Australia's future security; future directions of rural industries; climate change; and a long term national healthy strategy. Critical discussion will also focus on the future of Indigenous Australia and education, skills, science and innovation. There are also plans for state and territory premiers to hold their own summits and there has been a great deal of interest from local members of parliament to also host summits. 'As Prime Minister, I congratulate and thank everyone who nominated. I look forward to hearing your ideas for Australia's future,' the Prime Minister, the Hon Kevin Rudd MP said during last week's announcement.